Has your lender violated Alaska usury laws? Have you paid more than 10.5% interest on loans larger than $25,000.00? Are the loans from a person or non-bank? Do you still owe or have you paid any interest in the past two years? You may have a basis to recover money. The Negotiable Instruments Rules at Alaska Statutes 45.03.112. (a) The rate of interest in the state is 10.5 percent a year and no more on money after it is due except as provided in (b) of this section. (b) Interest may not be charged by express agreement of the parties in a contract or loan commitment that is more than the greater of 10 percent or five percentage points above the annual rate charged member banks for advances by the 12th Federal Reserve District on the day on which the contract or loan commitment is made. A contract or loan commitment in which the principal amount exceeds $25,000.00 is exempt from the limitation of this subsection. Many people who read these two provisions simply disregard the existence of subsection (a) and only read subsection (b). For Instance Matsu Title Usury Alert issued their Usury notice and only quoted subsection (b) and wholly ignored (a). They then imply that any interest rate may be applied to loans exceeding $25,000.00. However, loans that exceed $25,000.00 are exempt only from the limitation of subsection (b). Loans exempt from subsection (b) are then governed by subsection (a) which does not have the value exemption. Large Alaska loans are capped at the higher 10.5%. If the transaction qualifies as a retail installment contract, then the parties may charge any interest rate to which they agree in writing. Alaska Statute 45.10.120. To be a qualified retail installment contract the seller must be financing the transaction. Virtually every car deal from a dealership will be written in this way. The law doesn’t protect you on these transactions. However, if a car dealer independently finances the down payment separately from the car loan itself usury laws apply. In order to allow Alaska banks to compete with national banks, Alaska allows credit card issuers to charge any rate agreed to in the parties’ contract. (b) A state bank may issue a credit card or other similar credit granting device to a customer for obtaining money, goods, services, or anything else of value, and, notwithstanding AS 45.45.010 , the state bank, when credit is extended under this section, may impose a service charge at a monthly rate as agreed upon by contract between the state bank and the customer receiving the credit granting device. The old version of the statute capped interest rates on credit cards at 17%. The statue was changed to conform with the reality of federal preemption having stripped usury protection from credit cards. This statute provides an interest formula that may allow interest rates to exceed the Alaska usury statute. (a) Notwithstanding AS 45.45.010 , the rate of interest on judgments and decrees for the payment of money, including prejudgment interest, is three percentage points above the 12th Federal Reserve District discount rate in effect on January 2 of the year in which the judgment or decree is entered, except that a judgment or decree founded on a contract in writing, providing for the payment of interest until paid at a specified rate not exceeding the legal rate of interest for that type of contract, bears interest at the rate specified in the contract if the interest rate is set out in the judgment or decree. Though there is no case law on this matter, it is possible that federal preemption may allow them to ignore this rule. Also note that because 45.45.010(b) specifically exempts loans less than $25,000, loans greater than $25,000 would be limited to 15%. (a) Unless otherwise provided in the instrument, an instrument is not payable with interest, and interest on an interest-bearing instrument is payable from the date of the instrument. (b) Interest may be stated in an instrument as a fixed or variable amount of money or it may be expressed as a fixed or variable rate or rates. The amount or rate of interest may be stated or described in the instrument in any manner and may require reference to information not contained in the instrument. If an instrument provides for interest but the amount of interest payable cannot be ascertained from the description, interest is payable at the judgment rate in effect at the place of payment of the instrument and at the time interest first accrues. The Federal Banking Statute of 1864 preempts state law. National Banks and state chartered banks competing with National Banks are exempt from state law under federal preemption. The National banks can export the interest rate rules of their home state. This is true even if their home state is either higher or completely unregulated. Most credit cards are issued in states with high or unregulated interest rates. Most credit cards are issued by National Banks so that they can charge the high unregulated rates. If you have paid an amount greater than the original principle, the additional amount counts as interest paid and you may recover double that amount. Alaska Stat. 45.45.030; Werner v. Lorentzen, 3 Alaska 275 (1907). Unlike most states, Alaska requires you to have paid the illegal interest to gain a double recovery. Charging an illegal rate is a forfeiture of all interest. 45.45.040. The debtor still owes the principal, less any amounts paid. Recovery of Attorney fees and costs whether the matter is contested or not. Small lenders that forfeit principal and interest. Alaska Stat. 06.20.310. Interest rates in excess of 45% are per se criminal extortion. 18 United States Code 891. Violation of a federal criminal extortion statute may be a violation of the Alaska Unfair Trade practices act. Alaska Usury laws and associated federal statutes are often complicated. Alaska has very little case history interpreting the interplay between the statutes, or even between the subsections of the statutes. It is obvious from third-party, non-legal information present in the state that there is a great deal of confusion about the meaning of the statutes. If you are paying greater than 10.5% interest on a loan, and that loan is not from a bank or other licensed lender, you may be paying too much. Please consider and answer the following questions to help us efficiently evaluate and structure your transaction, and help you address issues prospectively. 1. Is there a confidentiality agreement in place? 2. Is the transaction an asset purchase or a purchase of the ownership interest of an entity? a. Will the transaction cause a termination of the entity? b. Would you like the purchase of the ownership interest of the entity to be treated as an asset purchase? a. Are there any adjustments to the purchase price (e.g. floors/ceilings/allowances)? b. Will the purchase price be paid in installments? c. Is there a reason to hold back any part of the purchase price? 4. How is the purchase price allocated? 5. Is the transaction seller-financed? a. What are the terms of the promissory note? How will the government shut down affect Alaska contractors? Considering all the moving parts and implications of the government shutdown what should Alaska contractors focus on now. In short, brace yourself, what is happening now is not a one-off situation; this is ground-zero for the foreseeable future. Sequestration happened in March. During that time federal job losses averaged 9,000 per month, or 72,000 jobs lost. We anticipate that federal payroll decline will escalate. Cost and need will drive new contracts. The government will likely focus on existing programs over long-term projects. On vehicle usage, conservatism should be anticipated as the rule; the Fed has lots of flexibility for greater restrictions – so dot the I’s and cross the T’s. You can expect a frequent use legacy indefinite in quantity contracts (IDIQ) and a desire to lock contractors in to Firm Fixed Price contracts. Alaska Contractors can expect the government to offload risk to the contractor community. Alaska Contractors will need to manage this increased risk. Alaska Contractors should approach opportunities with a focus on discipline and rigorous risk evaluation. Fully-funded contracts and phases should be safe; forward phases and contract options are at risk and should be re-negotiated as soon as possible. The same applies to your IDIQ task-orders. The funded task or delivery orders should be safe. Those that are not are at risk. You should determine 1) whether your contract relates to a sequestration exempt program; 2) whether it is impacted by any new congressional budget, 3) whether it is fully or incrementally funded, 4) when the agency anticipates exercise of options or issuance of task orders, and 5) what changes are planned. With scarce contract opportunities; we expect an impact on Bid Protests and CDA Claims. 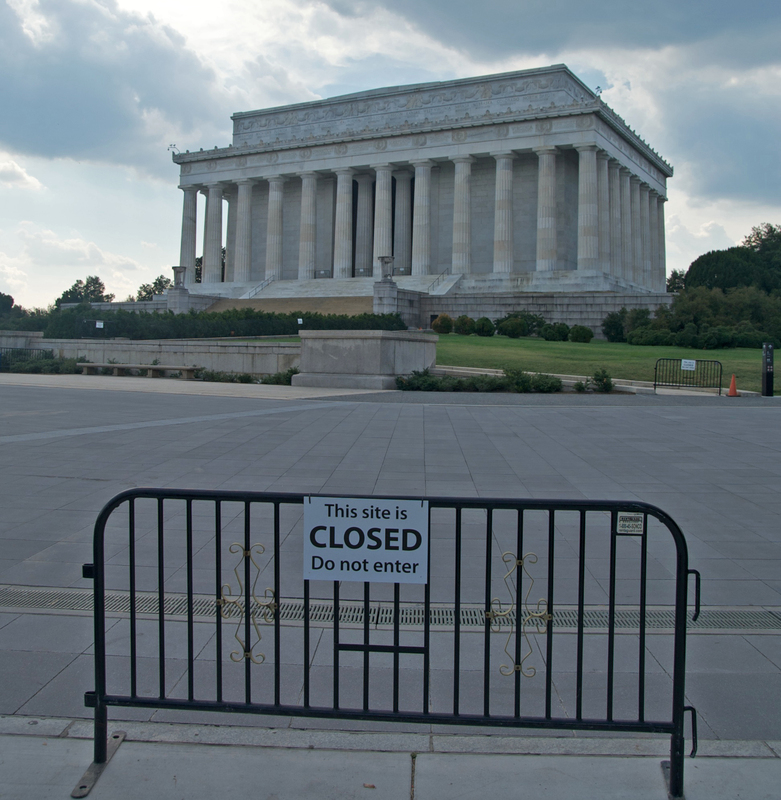 The GAO shutdown creates doubt that protests will trigger an automatic stay. If the GAO protests fails to stop disputed contracts, you may reconsider rolling the dice in more expensive litigation at the U.S. Court of Federal Claims. However, if you decide to engage the GAO; the Agency has issued guidance to federal contractors about how bid protests and related filings will be handled during this period.